There’s a massive tour set to hit the United States and beyond very soon. 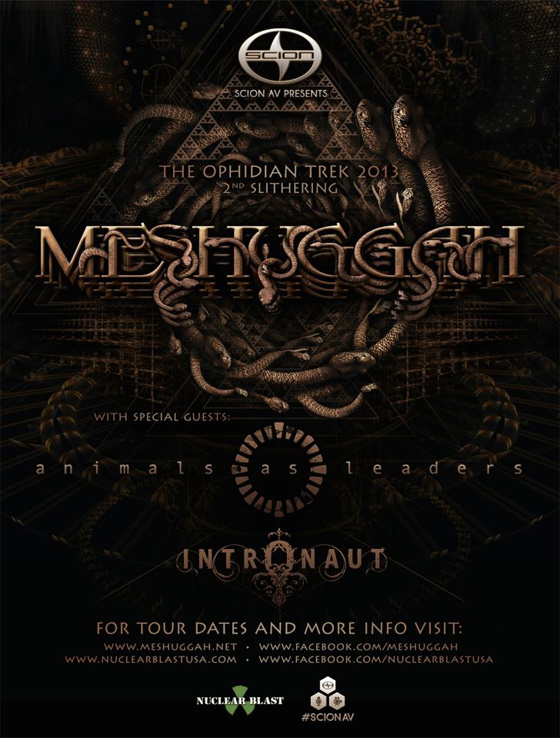 Meshuggah will be tearing across North America with Animals As Leaders and Intronaut on the The Ophidian Trek 2013 (The 2nd Slightering). The tour will launch in February and run through March. The level of talent between the three bands is beyond ridiculous. Should be one helluva show. Check out music from all the bands along with a flyer and tour dates below.